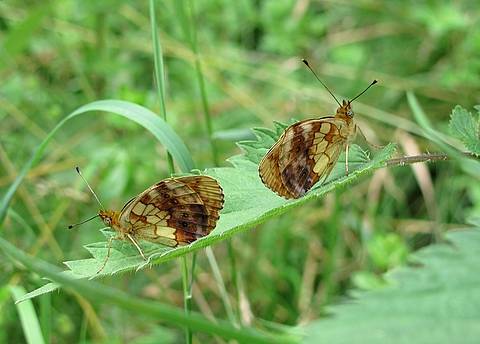 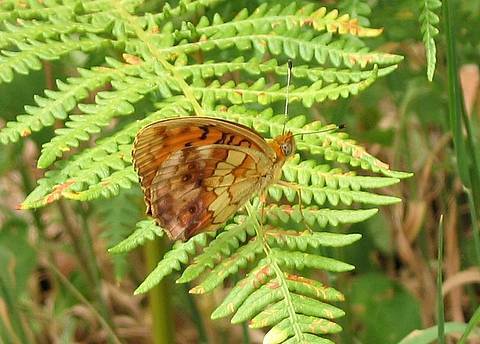 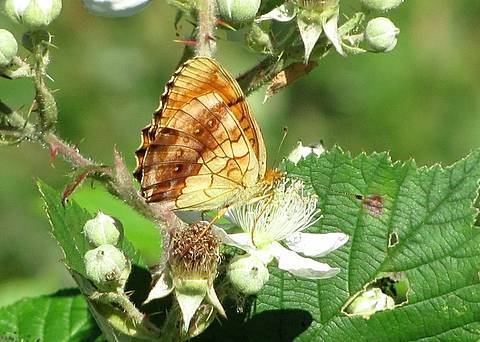 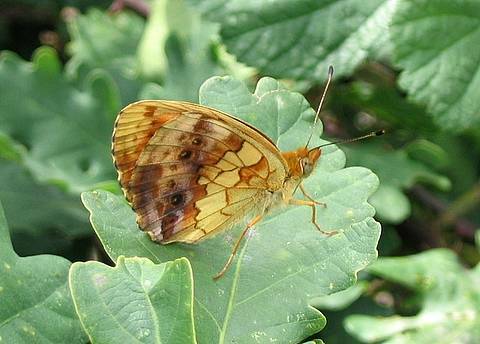 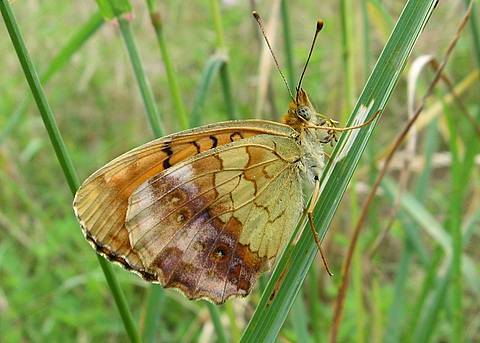 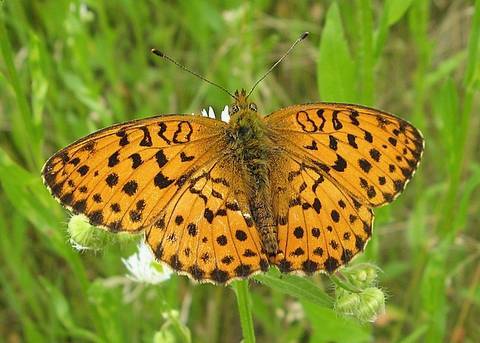 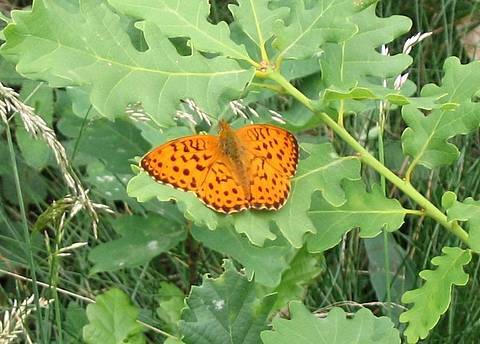 The Marbled Fritillary is quite a large and bright orange butterfly which is usually found flying around bramble scrub in woodland margins in June and July. 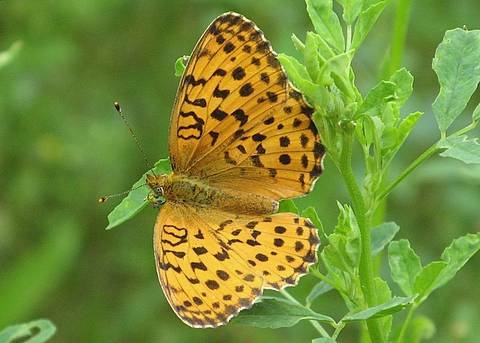 In France at least it has expanded its range northwards in recent decades. 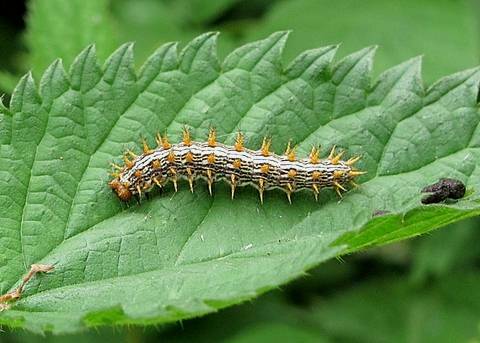 Whatever the reasons for this, the species will certainly have no problems finding the larval food plant bramble, which is common everywhere!